Chicken curry recipe that I am going to share today is easy and quick to make. Also this curry is made without coconut and does not require grinding too. 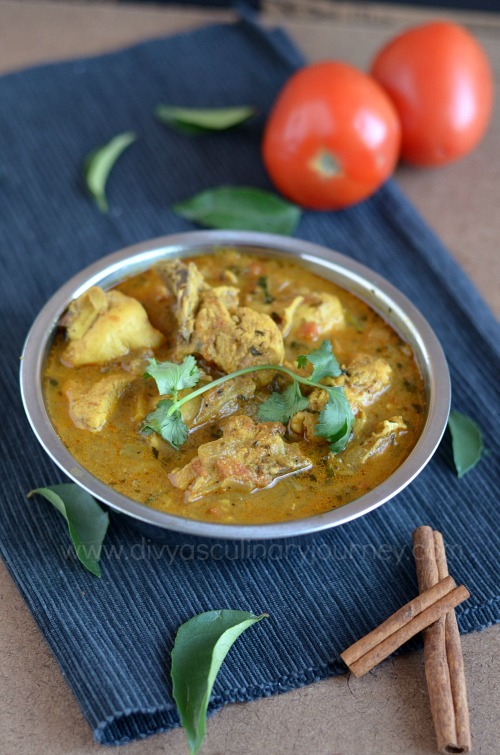 This chicken curry is so delicious and flavorful. It can be had with rice and also roti. We were in Canada for a brief period that time I did not have any blender/ mixie with me, then I came up with this recipe. 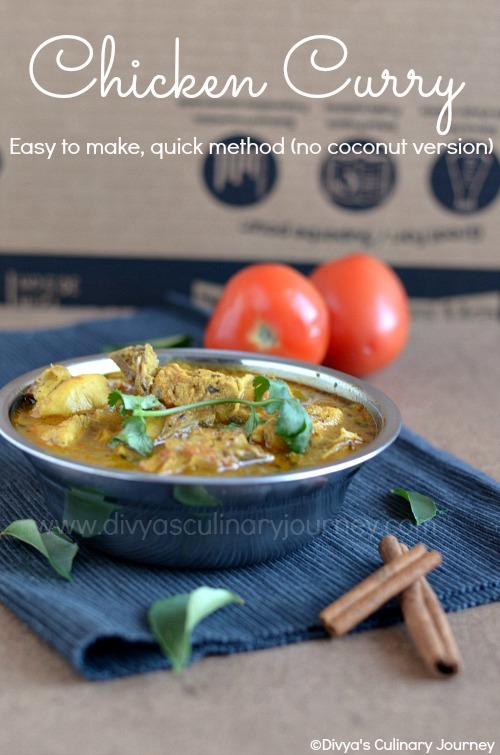 If you do not want to spend much time in the kitchen, or a beginner in cooking who doesn't want to try a complex method for making chicken curry, yet want to have something delicious, then this recipe is for you. 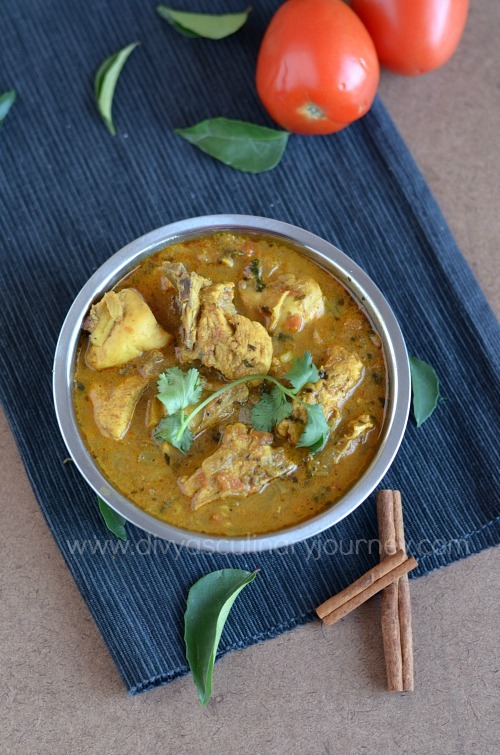 You will definitely love this simple and flavorful chicken curry. Marinate the chicken with items listed under 'to marinate' for at least 30 minutes. Heat oil in a pan, add mustard seeds, then add fennel seeds, cloves, cinnamon, bay leaves and fry for a minute. Then add chopped onion and curry leaves and saute till the onions turn translucent. Now add the chopped tomato mix well and add turmeric powder mix well and cook till the tomatoes turn mushy. Then add the marinated chicken along with the marinade and mix well and cook for 5 minutes. Then add garam masala, 1 cup of water and check and adjust the salt and mix well and bring the gravy to boil. Then reduce the heat and let it simmer for about 15 minutes till the oil starts separating at the sides. Now add kasoori methi, mix well and let it simmer for another 2 minutes. Turn off the heat. Garnish with cilantro and serve with white rice or roti. 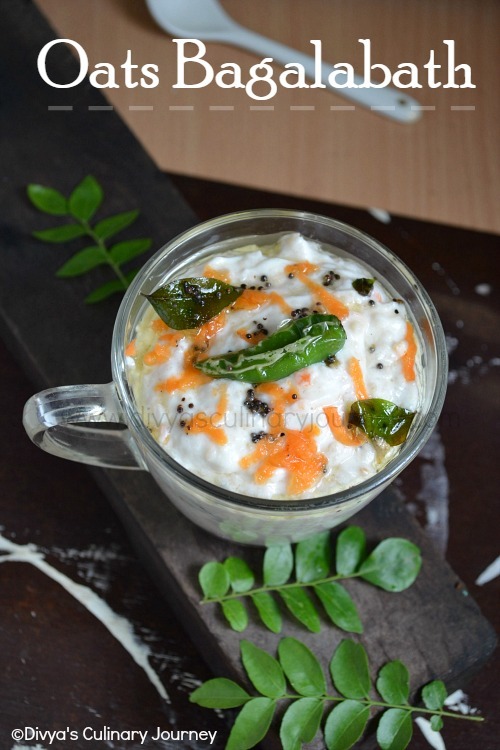 It can be had with idly dosa too. Adjust the chilli powder, as per heat tolerance level. If need you can add 2 green chillies while sauteing onions. You can marinate the chicken for about 30 minutes to one hour. I used ginger garlic paste that I got from the store. If you don't have ginger garlic paste, you can use 4 cloves of garlic and 1" long ginger piece, finely chop or grate them and use. The chicken releases water while cooking, check it and accordingly add extra water for the gravy. Adding kasoori methi is optional, but I recommend adding it. Mouthwatering chicken curry. Love them..
Wow delicious chicken curry, my favourite dear! flavourful, yummy chicken curry. Love it. Very nice chicken curry dear. Looks delicious. Wow, loaded with flavor. My daughter would be all over this!! !